London born, Tim Funnell, inspired by the infectious dance and groove of a visiting jazz band, embarked on the challenging and rewarding journey of becoming a jazz pianist. 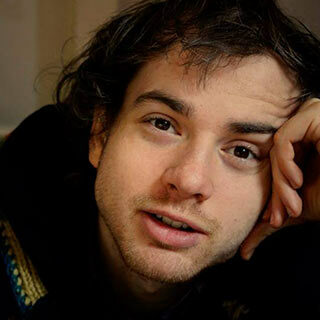 Torn between multiple interests, he first completed a degree in philosophy and graduated from an exciting jazz program in the Netherlands, “New York comes to Groningen”. His main instrument teachers were the brilliant Dutch pianists Jasper Soffers and Marc van Roon but the program in Groningen also benefited from visiting New York teachers such as David Berkman, JD Walter, Spike Wilner, Robin Eubanks, Alex Sipiagin and Mike Le Donne. He is equally at home in a big band context having played with the Sheffield University Big Band, The Assen Big Band and the Prins Claus Conservatoire Big Band. Tim also spent a semester in Paris where he was privileged to have Benoit Sourisse as his main instrument teacher alongside top musicians from the Paris scene such as Pierre de Bethmann, Thomas Encho, Bojan Z and Dominique di Piazza. Tim teaches jazz piano with the same enthusiasm and joy that he received from all the many wonderful teachers he has encountered so far. The starting point is usually the passions and interests of each student and he is always keen to nurture a love of learning and development in the discipline of jazz piano. Being versed in various styles and genres and having been exposed to a wide variety of teachers and teaching styles means that he is able to offer a very broad approach to jazz education which can suit each student’s needs and abilities.